Italian Food is more than just pizza and spaghetti. There is a wide range of ingredients, flavours and dishes to experiment with. It is bold and satisfying without being heavy. It’s rich and textural and uses a whole palette of flavors. 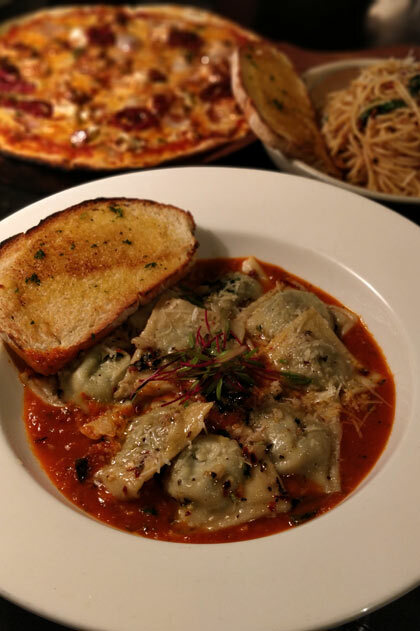 At Italiano, we want you to celebrate your love for Italian Cuisine. We prepare our dishes with the basic but most flavourful ingredients to give you a taste of Italy. So sit back and relax in our ambient restaurant and be transported to the delightful cafes of Italy. finest dining experience of our mind blowing delicacies. ITALIANO (A fast growing chain serving Authentic Italian Cuisine) established in 2001, is the brainchild of Mr. Sanjiv Puri, MD of Himanshu Resorts Pvt. Ltd. 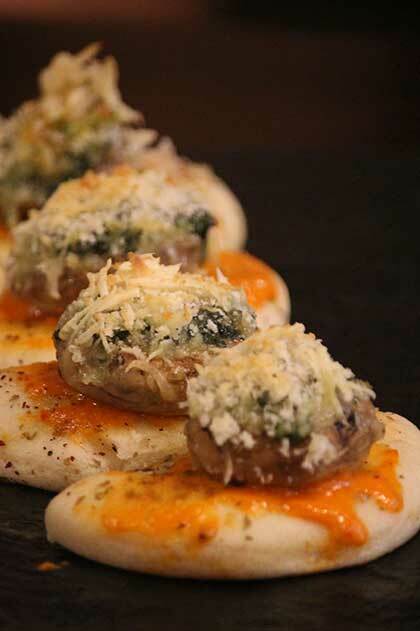 The selection of the menu is the culmination of Mr. Sanjiv's tryst with Italian food. 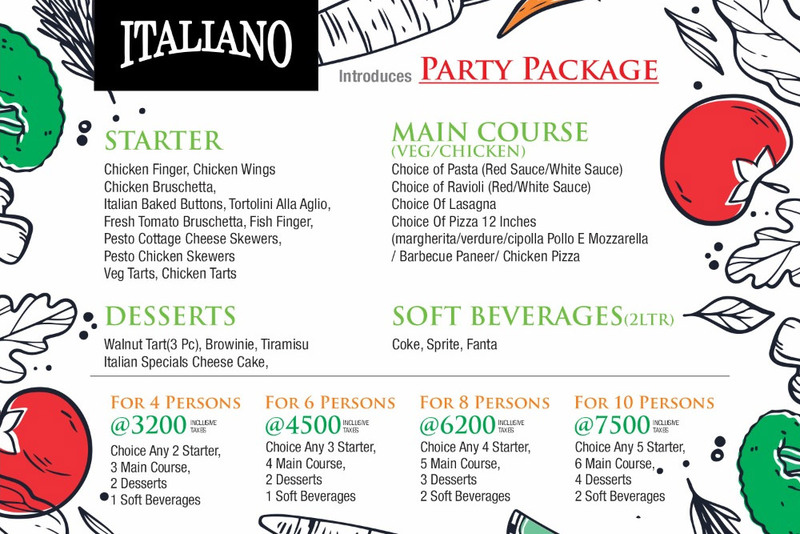 Italiano meaning Italian in Latin, takes pleasure in serving you the best Italian cuisine. As the name goes.. 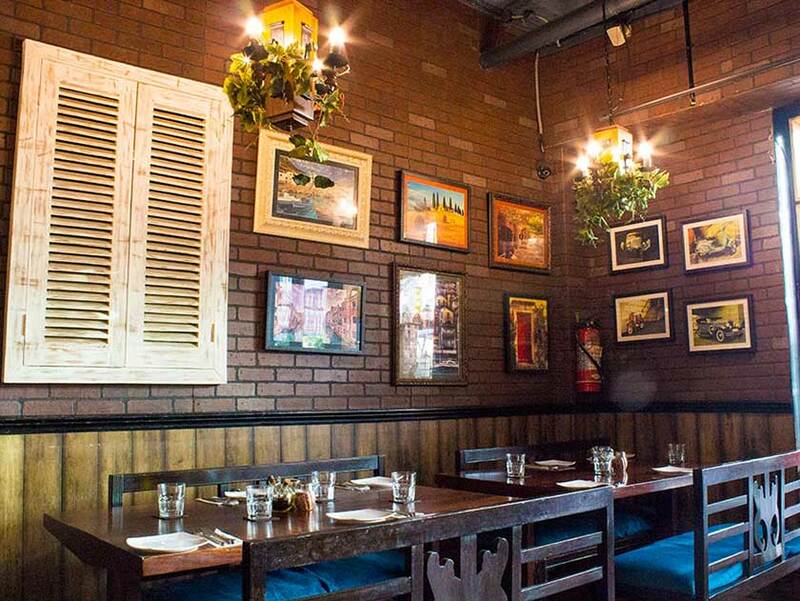 They serve authentic Italian cuisines... As expected, the taste and the ambiance were way too great.. Tried pastas and Pizzas along with platters.. Amazing taste and presentation.. This was the second visit to Italiano and both the times I was thoroughly impressed by it.We were aÂ group of 8 hungry relatives dying to dig into some good food and Italiano curbed our white castle. TheÂ food isÂ fresh and well preparedÂ here and the staff really helps in suggesting dishes. The ambience is nice and noddy. Perfect for a cozy winter dinner.In all a must visit and great place to catch up, very economical too.